4 Prehistoric Animals Which Could Be Cloned! Short-faced bear(Arctodus simus), appeared in North America about 800,000 years ago. Although this giant animal completely disappeared 11,000 years ago, some people believe it still lives somewhere in forests of western Canada. Short-faced bear was the largest bear species to ever exist; some fossils even indicate that its shoulder height could be more than 6 feet. In comparison, shoulder height of average polar bear(Ursus maritimus), currently the largest bear species on the planet, is around 4-5 feet on average. Cloning the short-faced bear shouldn’t be too much of a problem. We have already salvaged much of its DNA from fossils deeply frozen in permafrost. In the process of cloning, best choice of egg donor would be the spectacled bear(Tremarctos ornatus), native to South America. However, although both these species are closely related, the spectacled bear is one of the smallest of all Ursine species, being only 2 to 3 feet tall at shoulder height. These proportional differences could be a minor problem during the embryonal development. Smilodon populator, also known as the Saber-toothed cat, was one of the most iconic predators of prehistoric America. It was about the size of a modern tiger, but more robustly built, with broad limbs, unmistakably long canines, and mouth gape range of almost 120 degrees. In addition, Smilodon populator could have reached body mass of more than 400 kg. That makes him the largest felid to ever exist on the planet. Although smilodon is often called ”Saber-toothed tiger”, this is not very correct from scientific point of view. Smilodon was not closely related to the tiger(or any other modern felid), he belongs to subfamily Machairodontidae instead. Thanks to recent fossil discoveries in La Brea Tar Pits (Los Angeles), we could have the ability of cloning Smilodon populator. However, as of present day, DNA in these fossils still resists the attempts of succesful sequencing. 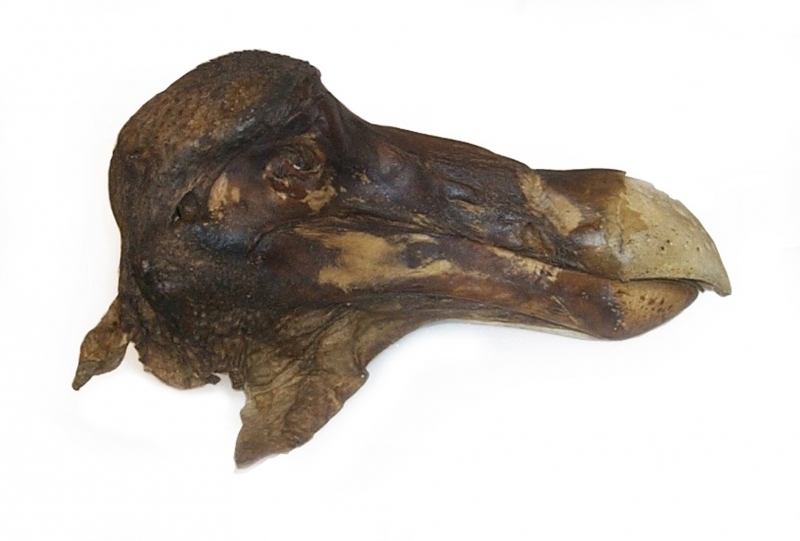 Probably the most famous extinct animal, this three-feet tall flightless bird endemic to Mauritius was exterminated during the 17.th century by Dutch sailors. The closest relative of the Dodo is the Nicobar Pigeon, living in the Malay Archipelago. 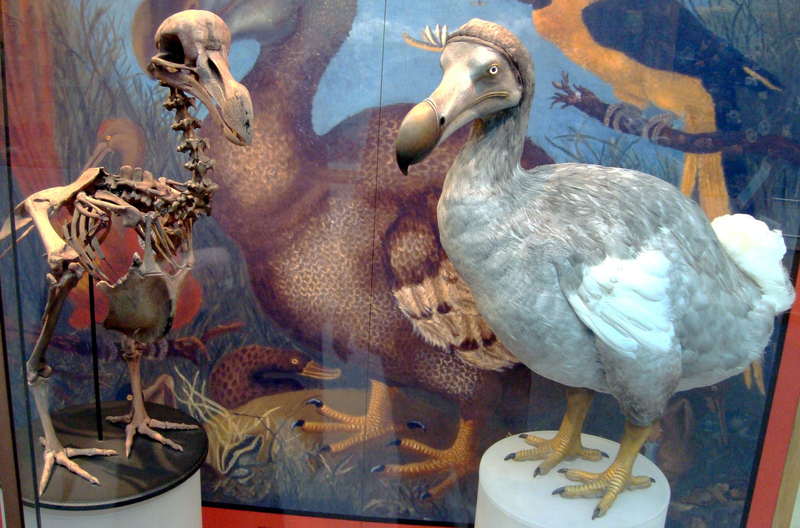 We can determine exact appearance of the Dodo bird from dozens of drawings made by Dutch explorers in 17.th century. Dodo birds probably had greyish-blue feathers, beak about 10 inches long and quite strong legs. Their diet was mostly composed of fruit. Their weight is estimated to be around 23 kilograms. To the present day, we have accumulated quite large amount of Dodo fossils, including one dried head, and part of feathered lower limb. Scientists have already sequenced majority of the DNA of Dodo bird, and after few years, the dream of bringing this extinct species back to life could finally become a reality. Thylacine, also known as the Tasmanian tiger or Tasmanian wolf, was the largest carnivorous marsupial of modern times. Intensive hunting by farmers, along with introduction of the dogs, is generally blamed for its extinction. 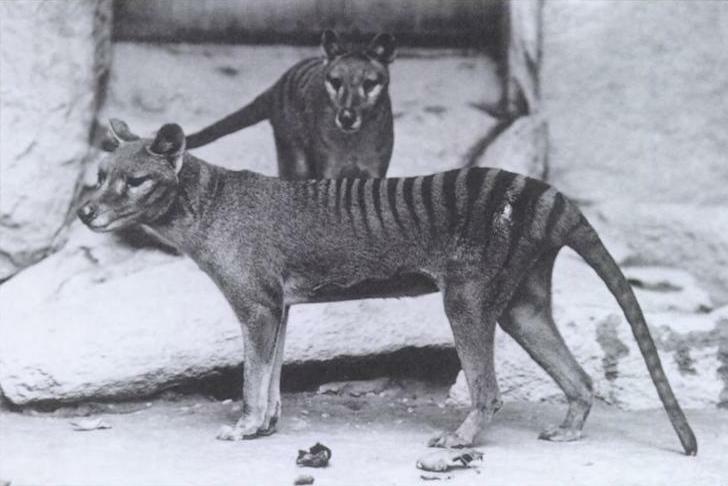 Last thylacine died in year 1936, in the Hobart ZOO, although there have been alleged sightings in the wild ever since. Thylacines could reach about 3 to 4 feet in length, not including 2-feet long tail. Largest individuals had shoulder height of about 3’4”, and weighed more than 30 kilograms. Because only 77 years passed since the species went extinct, we have a large amount of preserved specimens. In Melbourne museum, they even have three thylacine specimens preserved in formaldehyde! DNA of thylacine was first sequenced by Andrew Pask, who acquired it from 100-year old skin of the animal. Although the genetic information was damaged, we currently have the ability of bringing the thylacine back to life.